It’s been five years since hundreds of thousands of protesters gathered in Egypt’s Tahrir Square, igniting Arab Spring and leading to the overthrow of Hosni Mubarak. Five years later, under Egyptian president Abdel Fattah el-Sisi, organizers and activists that took to the streets in 2011 now sit in prison, and others have censored their efforts for change. In 2014 alone, the Sisi regime issued 509 mass execution sentences, and there are more than 40,000 political prisoners that have been detained over the past five years, compared to the 5,000-10,000 prisoners near the end of Mubarak’s rule. Last year, in the wake of this anniversary, the police fatally shot a leading member of the Socialist Popular Alliance party, Shaimaa al-Sabbagh, whose death has become emblematic of Egypt’s brutal military regime now. In the leadup to the fifth anniversary of Egypt’s uprising on January 25, Egyptian security forces arrested political opponents and raided apartments near Tahrir Square. Joining us now to discuss this is Noha Radwan. She’s an associate professor of Arabic and comparative literature at UC Davis. Noha, so good to have you back with the Real News Network. PERIES: So, Noha, it’s been very clear that repression under Sisi exceeds what people were going through under Mubarak. Give us a sense of what’s happening on the ground now. RADWAN: Yes. It far exceeds what was happening under Mubarak. I think partially because by the end of his 30-year rule, Mubarak was pretty confident that the Egyptians had given up on the possibility of change. And now that, you know, hundreds of thousands of people in Tahrir Square, as you mentioned, gave the regime the message that they have not given up on change. And in fact, since 2011 until the present day there has been, you know, within the limits allowed some activism that reminds the regime that Egyptians have not completely given up on the possibility of change, and that’s why the impression right now is massive. It’s brutal and inhumane, and really I’m not sure how much it can get–how much longer it can be sustained. And I don’t understand why the international community is kind of keeping, you know, a blind eye to that. PERIES: Describe some of the things that are going on, briefly. RADWAN: So, you mentioned that there are 40,000 political prisoners right now, and that’s, that’s, you know, more or less the figure that we have. 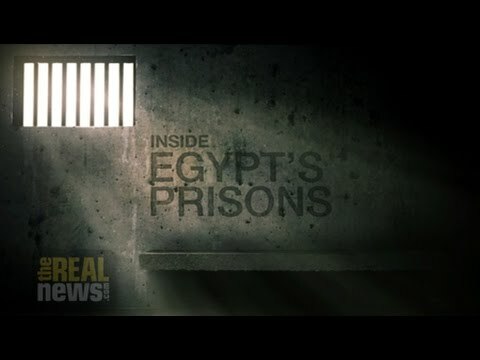 The prison conditions in Egypt are inhumane. Someone who was arrested, he was also arrested because in addition to the political prisoners, I wanted to mention the fact that when people are arrested they can be kept in what is called pre-trial detention indefinitely. So this person I’m going to quote now, his name is Ahmed [Gamal Ziada] was arrested in November of 2013, and was not released until early 2015, meaning that he spent more than a year in detention. When he actually appeared in court there was no case against him. He’s a photojournalist who was arrested with others, you know, and there was no case against him. He was released. Ahmed describes prison conditions as beyond anything that most people can imagine. They put 70 people in a cell room where it’s about 15 feet by 15 feet. Basically not enough for four people, and he said there were 70-plus people in there. There is no allowance for going out for exercise. They do not allow relatives to bring in what the prisoners require. They do not allow them to shower properly or go to the bathroom when needed. And Ahmed has, himself, complained about these conditions while he was in prison. And what happens is he faced disciplinary measures, including solitary confinement for, for [inaud.]. Recently there has been a complaint about this prison called [elacra] prison, which is on the northern west part of the country. It’s been a very cold winter season, and the people in, prisoners in [acra] ask relatives to bring them winter clothes and blankets. And the prison authorities did not allow that. There are no winter clothes, there are no covers for the people in that cold season. There is no hot water for them to shower. So in addition to the large number of political prisoners, the conditions are also unbearable. Visitation hours are not respected. Human rights organizations are not allowed in to, to monitor the prison conditions, and so on. PERIES: So Noha, the conditions are so awful, rotten, I don’t know how else to describe it, yet the media, and the alternative media and some of the people that we used to speak to as journalists, and the Independent Egypt, for example, where Lina Attalah was reporting from, we’re not hearing from these journalists any longer, and I know along with the repression of activists and organizers, there also is a great deal of repression against the media. So these things you’re describing in terms of the conditions in prisons aren’t even reported on. Describe some of the conditions for the media there at the moment. RADWAN: Yes. I agree with you that the repression of the media is a very important issue, because that also explains why the majority of the people in the country are not aware of, of, of the amount of repression that activists are facing. Are also being fed a fairy tale about, you know, of coming economic prosperity, of coming chances of equity. None of this looks like it’s going to happen. You know, for starters, one could mention that Egyptian tourism is at an all-time low, including times during the revolution, right after the revolution. So right now it’s worse than it was three years ago, for example. So the prosperity issue is not happening, but yet the media keeps talking about it, and making promises to the public. The equity that President Sisi talked about right after he was elected, you know, talking about taxing the rich, giving money to the poor, providing opportunities for the unemployed, none of that has happened, and the media keeps promising people, you know, better times to come. On the other hand, the people are completely uninformed about the repression that’s going on. So about the censorship, a lot of the, a lot of the talk shows on TV that were not just, you know, completely singing the praise of the [inaud.] government have been, have been stopped. And so, and newspapers have been closed. People who were writing editorials, even slightly in opposition to explain [why] have stopped writing. Writers have been either sentenced or even–sometimes there is nothing to sentence them on. So I know that the owner of Merit Publishers, for example, he was taken into police custody, kept there for a couple days. You know, manhandled and interrogated, and then sent back home, because there’s no case against them. This happens a lot with journalists and reporters. I mean, the person that I just mentioned, Ahmed Gamal Ziada, is also a photojournalist. So there is a serious amount of, of censorship and repression going, you know, towards media reporting, as well. PERIES: Noha, there’s so much more to talk about. Let’s do another segment on this and take up the issue of what’s happening in terms of the state, as well as the military, and where the foreign allies currently stand in our next segment.